What is the format for a Great Banquet weekend? The weekend consists of a series of talks given by lay Christians, not clergy. The talks focus on faith issues and personal testimony. Guests meet in small groups to discuss the talks and summarize key points. Communion is served daily. The team running the weekend and guests live as a self-contained Christian community, away from commitments, distractions and responsibilities we all face in the outside world. Ask someone who has attended a banquet! It is hard to put into words how inspiring the experience can be! When Christians have the opportunity to spend 3 days concentrating on their faith and personal relationship with God, many truly wonderful things can happen. From seekers who are new to their faith, to Pastors, everyone seems to be moved by the experience. The best advice we can give is to ask someone who has attended the banquet. How do I attend the Crossroads Great Banquet? Accommodations are provided at East 91st Street Christian Church, located in Indianapolis, IN. We turn several rooms into sleeping areas, using sturdy cots for bedding (bring padding to lay over the cot to increase comfort). The church has showers that we use during the weekend. Your sponsor will have more information on what to bring. In general, though, pack casual comfortable clothing, layers are often the best choice. You will also need to bring your pillow, twin bed sheets & blankets and or sleeping bag, padding for your twin-sized cot, flashlight, bath towel, washcloth, toiletries (ie: toothbrush, shaving items, deodorant, shampoo, etc. ), flip-flops or shower shoes, a cover-up or bathrobe, and any medication you need to take during the weekend in a prescription container with your name on it. Bringing a Bible is not necessary, but many guests do so to mark passages discussed in the talks. Definitely. Please don’t feel shy or intimidated at all. The weekend is not a formal educational experience, but instead an opportunity to focus on your faith and personal relationship with God. No. Everyone–the team running the events, and the guests–spend the entire weekend together as a Christian community, isolated from the outside world. This includes sleeping at the church. However, if you require special sleeping arrangements, please let us know. We will most likely be able to accommodate your needs. Most likely – we haven’t turned anyone away yet! The Guest Registration Form has sections for you to indicate any food allergies, special diet or medication needs. Please provide this information and we’ll contact you to make sure we understand your needs and can accommodate them during the weekend. Is the CrossRoads Great Banquet Community under the guidance of any particular church or denomination? No, The Great Banquet is a non-denominational movement which is governed by an ecumenical board. All Great Banquet Communities are hosted by churches that provide facilities for the community. So while CrossRoads Great Banquet Community events are held at East 91st Street Christian Church, we are not affiliated with a particular church denomination. I’m not a non-denominational Christian, nor do I attend East 91st Street Christian Church. Is this for me? If you are not a Christian or if you are, then The Great Banquet is for you! 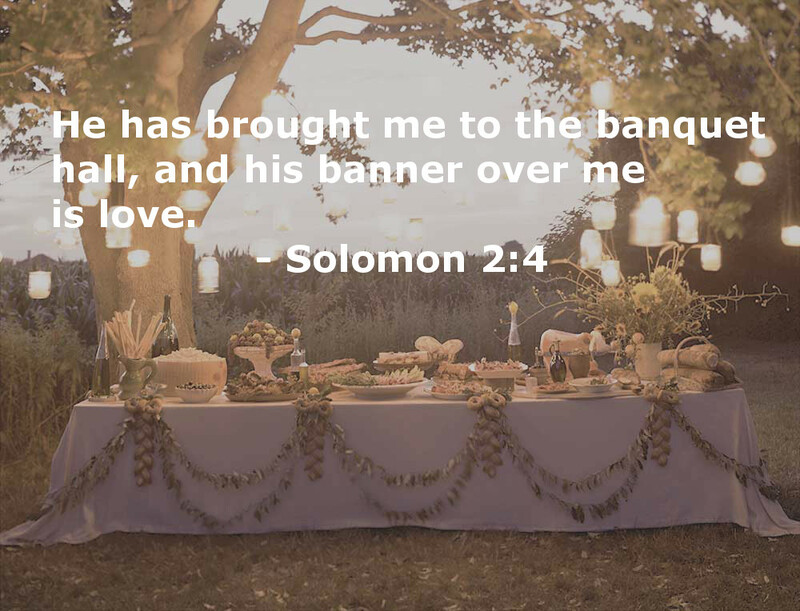 The Great Banquet is a non-denominational movement. In fact, a particular focus of the movement is to draw Christians from a variety of backgrounds and faith experiences together so we can learn and grow from each other. Seekers and those interested in learning more about faith are welcome. It must cost more than $10 per guest to host a weekend. How can you afford to hold them? The CrossRoads Great Banquet community relies on donations from members (individuals who have attended past banquets) and religious organizations. The weekend has a profound impact on many guests, who then support the community to share the blessings they received with other Christians.